At the end of your private visit or business day, stay a night in Baden and enjoy our famous hospitality. When hotels are booked online, the room price includes free use of public transportation. Creates a feeling of a home away from home. Directly located at the A1 motorway but is still in the calm nature - the Aparthotel. 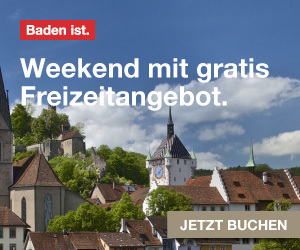 Baden makes both possible. The most historic and traditional hotel offers a historic ambience in the spa quarter of Baden. Immerses you into the special world of coziness and charm of the city hotel. It is located near the train station and has a modern design, as well as a feel-good atmosphere. 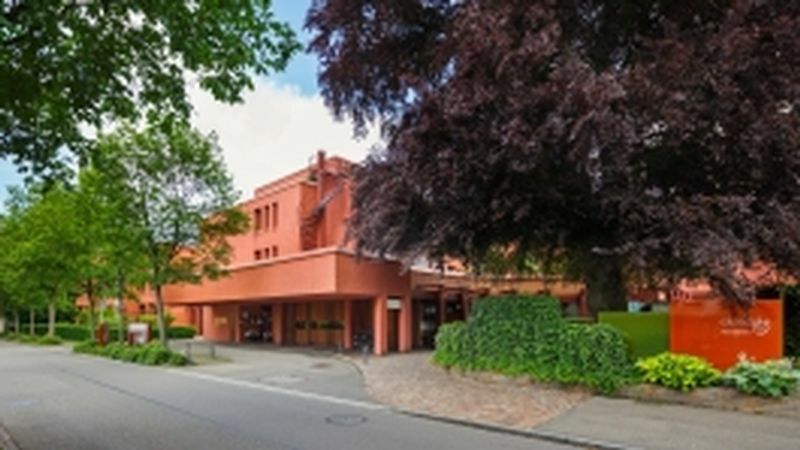 Located right next to the romantic "Kurpark" and the Grand Casino Baden, the 4-star hotel is located just a 5 minutes walk from the station, in a top location. The newly opened hotel with 100 modern rooms leaves no wishes unfulfilled. The hotel with its welcoming rooms is located near the A1 motorway and is ideally placed when travelling by car or train. The bar is open for snacks and drinks 24/7. An oasis for your personal moments away from everyday life, in the midst of the traditional baths quarter. The ideal hotel for a shopping weekend in Baden. Two minutes walk from the town center with shops. Exciting, urban and electrifying. The Trafo hotel within the heart of the town of Baden, with urban ambience and industrial chic. The rustic hostel in Baden. An ideal accommodation for athletes and sports enthusiasts directly situated on the banks of the Limmat. The "Résidence am Wasser" is located in the baths district of Baden, directly at the riverside of the Limmat and rents out eleven comfortable apartments/studios with various amenities and services. La Cittadella, The Residence Baden offers diverse single and double boutique studios for rent. Several private bed and breakfasts are situated in Baden and its surrounding area.